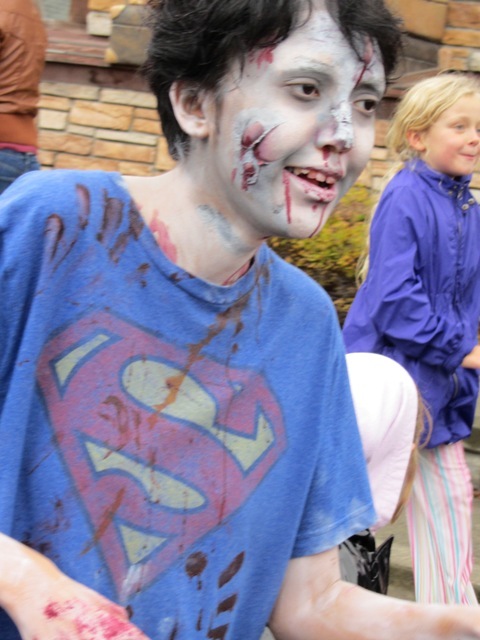 And if you don't love Zombies or you are afraid of them, don't fret you can join a team of Zombie Hunters and help them keep the streets safe and prevent the Zombies from attacking innocent people and turning them into zombies! Wikipedia - A zombie walk (also known as a zombie mob, zombie march, zombie horde, zombie lurch, zombie shamble, zombie shuffle, zombie monsta-mash, zombie irrigation, zombie hurricane or zombie crawl) is an organized public gathering of people who dress up in zombie costumes and make their way around the city streets. 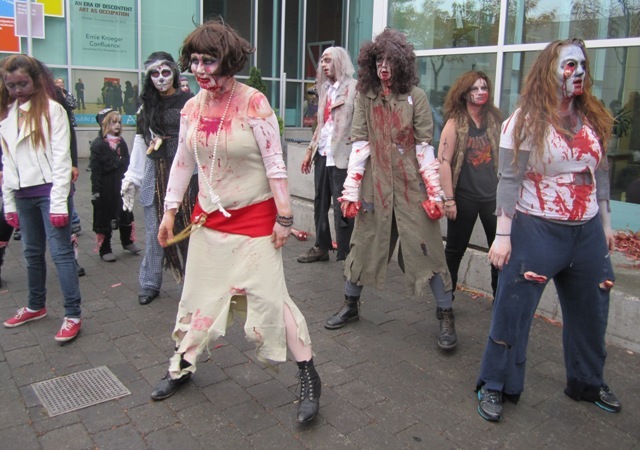 Zombie walks have become relatively common in large cities, especially in North America, often becoming annual traditions, though some are also spontaneous "flash mob" events. 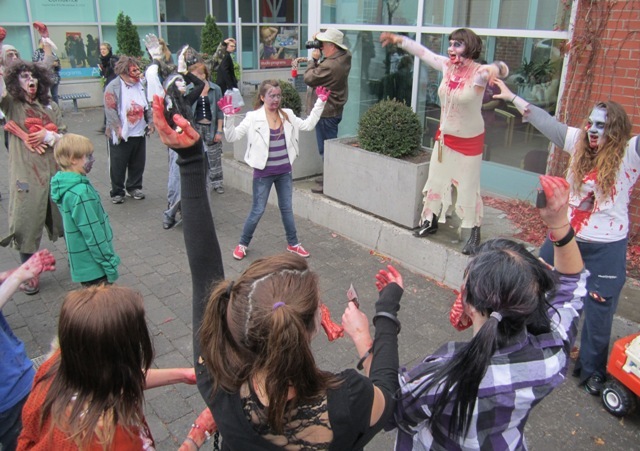 During the event participants are encouraged to remain in character as zombies and to communicate only in a manner consistent with zombie behavior. This may include grunting, groaning and slurred, moaning calls for 'brains'. 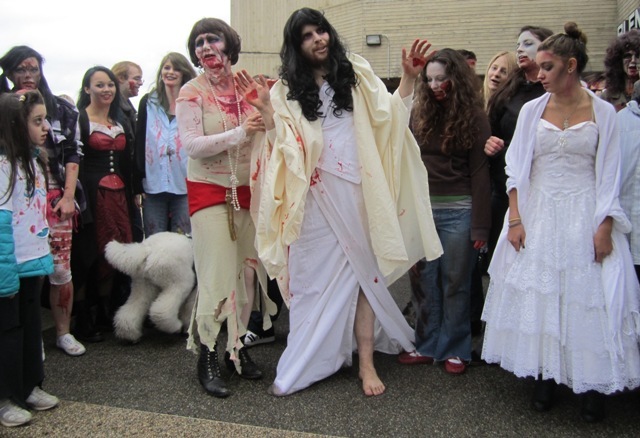 The first zombie walk world record was set on 29 October 2006 at Monroeville Mall outside of Pittsburgh, Pennsylvania, during Pittsburgh's first annual Walk of the Dead. Guinness World Records certified that 894 people participated in the walk. 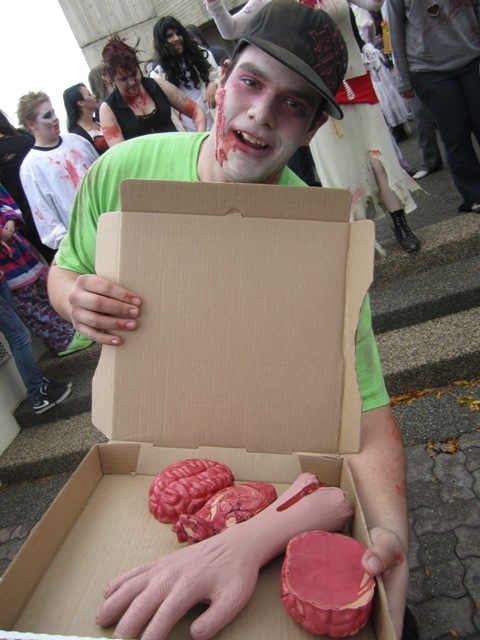 The second zombie walk at Monroeville Mall during the 2007 Zombie Fest was also verified by Guinness World Records as the largest gathering of zombies to date (28 October 2007), with 1,028 participants. 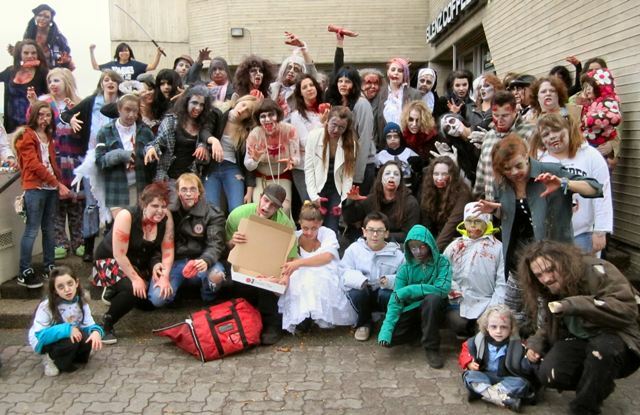 The 2007 Toronto Zombie Walk drew a crowd of over 1,100 zombies, a number confirmed by Toronto Police Services. At the time, this was the largest zombie walk on record. A zombie march in Brisbane on May 25, 2008 set an unofficial record of over 1,500 participants according to media reports. On June 21, 2008, a zombie march took place in Chicago with over 1,550 zombies estimated, setting a new unofficial record. 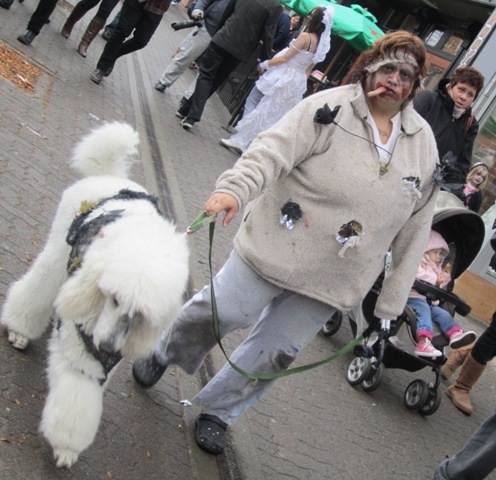 (Wikipedia) On October 31, 2008, a zombie walk took place in the Old Market Square of Nottingham, England, with 1,227 attendees. The event was organized by GameCity, and the zombies did dances to zombie-related songs such as "Thriller", "Disturbia" and "Ghostbusters". There was also a performance from American singer Jonathan Coulton. 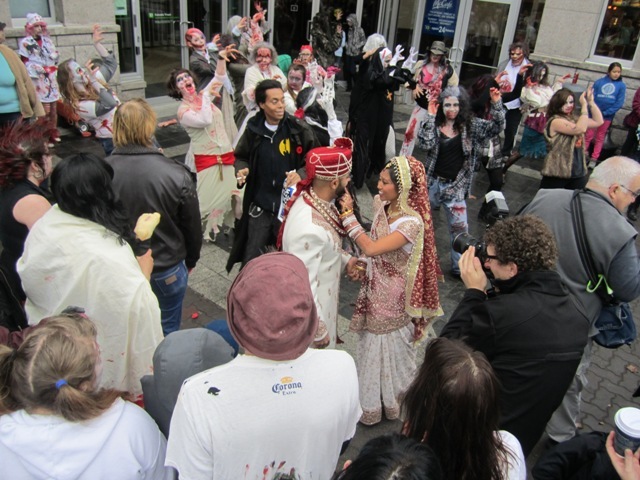 The event achieved a new official Guinness World Record for largest zombie walk. 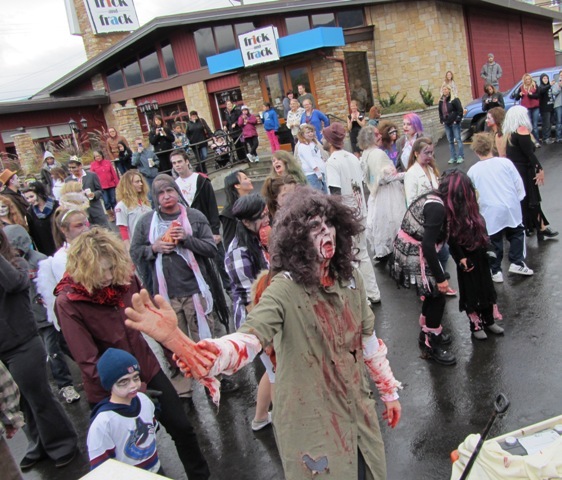 In June 2009, Pittsburgh zombie fans won back the Guinness World Record after Guinness verified that the Zombie Fest 'Walk of the Dead' at Monroeville Mall on October 26, 2008, had 1,341 participating walkers. 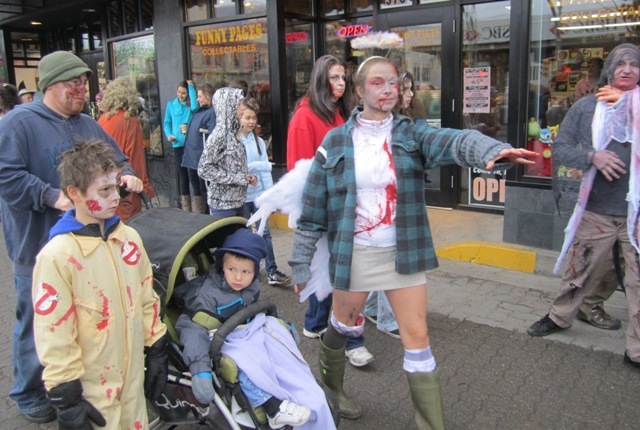 On July 3, 2009, a zombie walk organized by Fremont Outdoor Movies in Seattle, Washington beat all previous zombie walk records. Guinness World Records officially recorded 3,894 zombies at the 'Red, White and Dead' zombie event,though local news claimed 4,277 participants. In October 2009, Guinness World Records officially recorded and approved a new record for the largest gathering of zombies. The record was set at ‘The Big Chill Festival’ in Ledbury, England, on August 6, 2009. 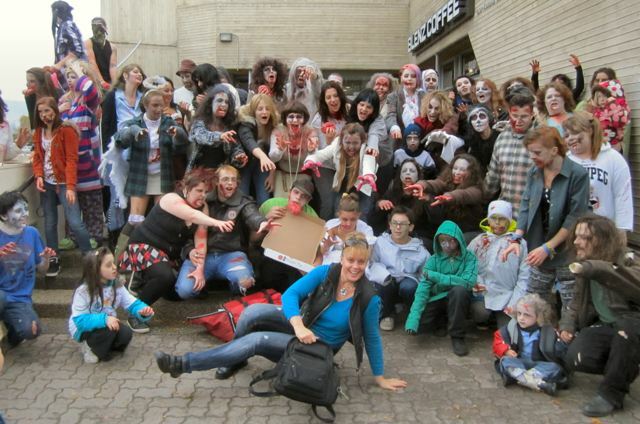 There were 4,026 zombie mob participants. 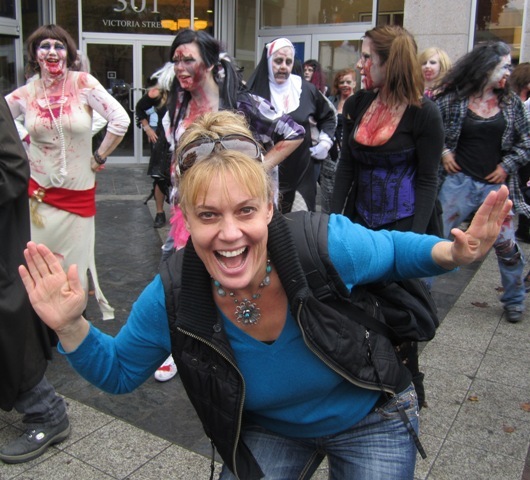 On October 25, 2009, the biggest recorded gathering of zombies in the Southern Hemisphere occurred in Brisbane with over 5,000 participants reportedly in attendance as reported by the Queeensland Police. The walk was also a charity event helping to raise awareness and money for the aptly chosen organization, The Brain Foundation of Australia. 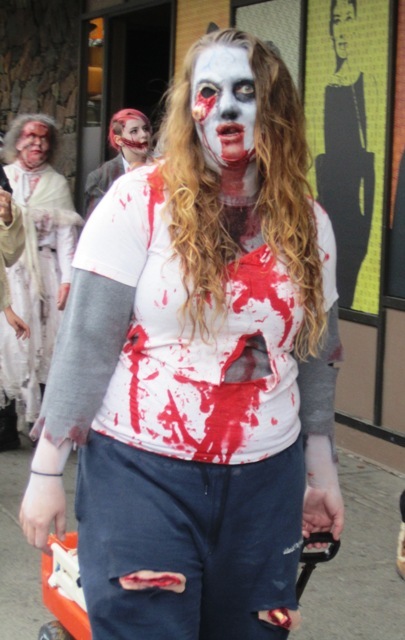 On October 30, 2009, zombie walkers in Grand Rapids, Michigan attempted a second run at the zombie mob world record. An estimated 8,000 participants braved rainy weather to gather in Calder Plaza outside of Grand Rapids's City and County buildings. 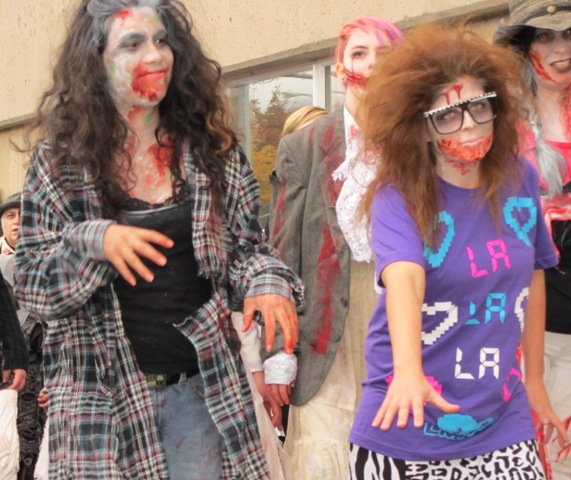 The event was coordinated by Rob Bliss, organizer of Grand Rapids' first zombie walk. Approximately forty to 50 volunteers collected signatures from the crowd. The record is currently unverified by Guinness World Records. 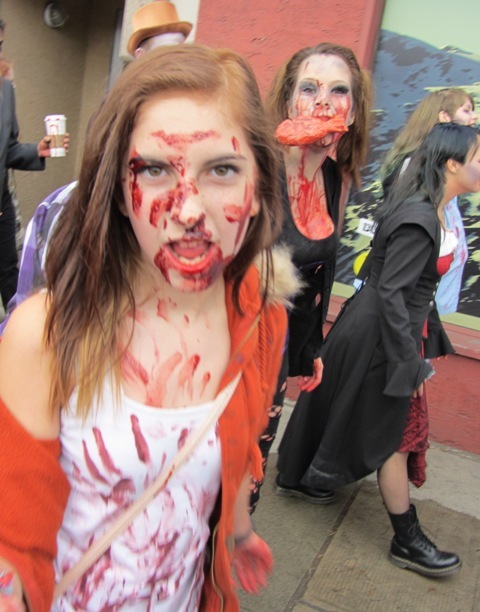 Organizers of the fifth annual Denver Zombie Crawl in Denver, Colorado counted more than 7,300 zombie walkers in the event. This is considered to be a low figure as up to 1/3 of the total participants did not walk through the counter. 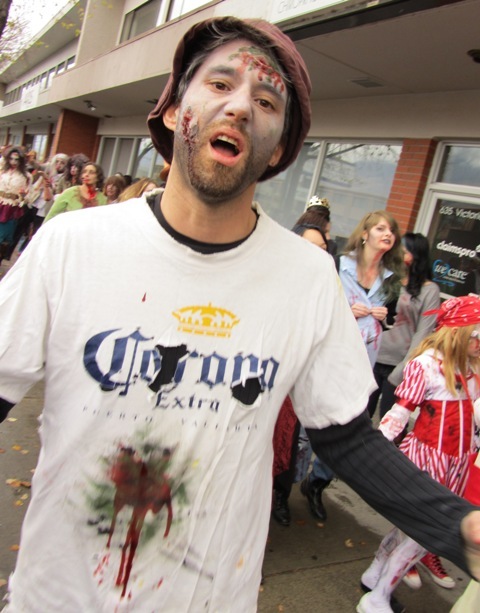 The crawl took place on October 23, 2010, in downtown Denver at the 16th Street Mall. 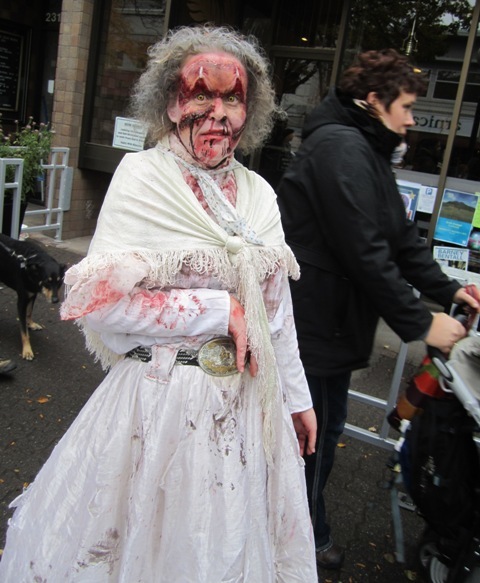 On October 24, 2010, a reported 10,000 strong zombie walk took place in Brisbane. As with previous years, the event raised money for the Brain Foundation of Australia. Guinness has yet to officially recognize either event as the new world record. New Jersey Zombie Walk in 2010 Guinness officially recognized a new record for the world's largest gathering of zombies on October 30, 2010, at the 3rd annual New Jersey Zombie Walk on the Asbury Park Boardwalk in Asbury Park, New Jersey. 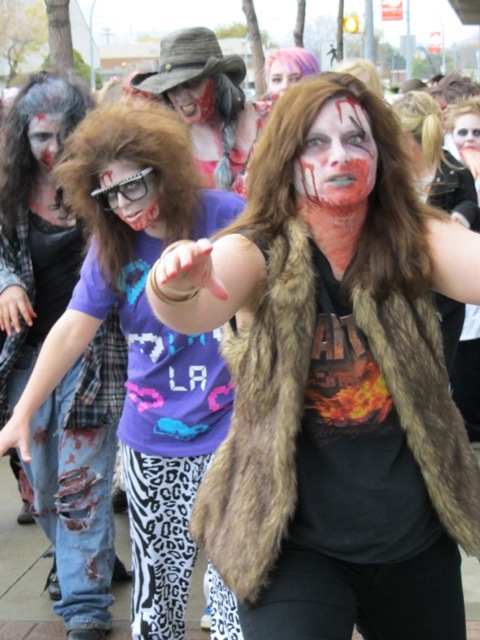 Guinness recorded 4,093 zombies at the event, though organizers along with police and fire officials estimate more than 5,000 zombies were in attendance. 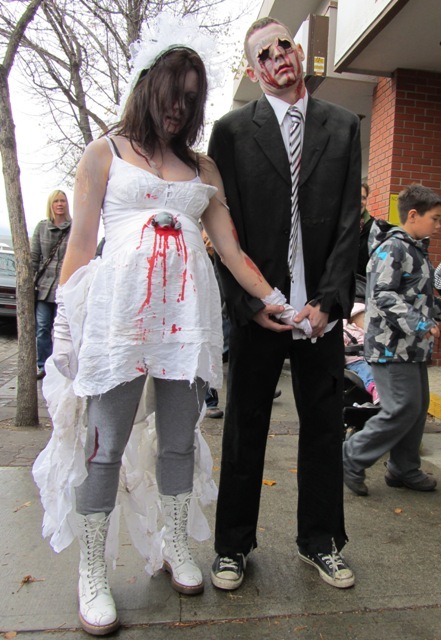 Fremont "Red, White and Dead" Zombie Walk hosted by Fremont Outdoor Movies. 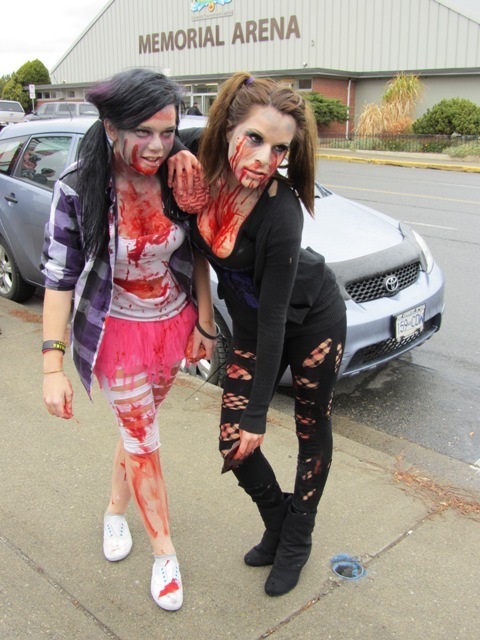 The zombie count according to Fremont organizers was 4,522 in attendance with estimations of over 4,800–5,000 after the official stop point for counting zombies. Representatives from Guinness did not attend the event. 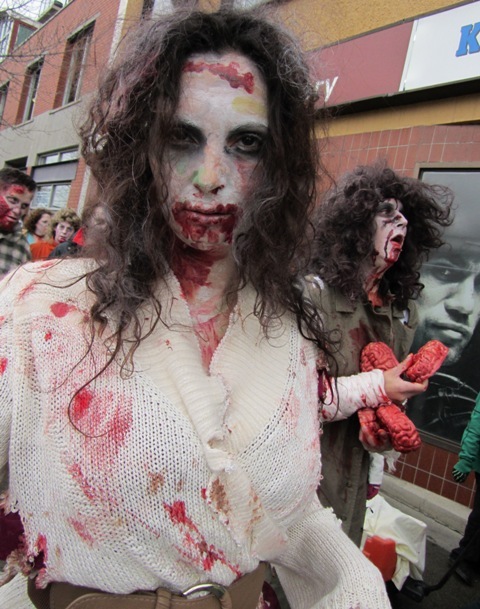 On July 23, 2011, The Dublin Zombie Walk in Dublin, Ireland had an estimated 8,000 zombies in attendance, but confirmation is still pending from Guinness World Records. 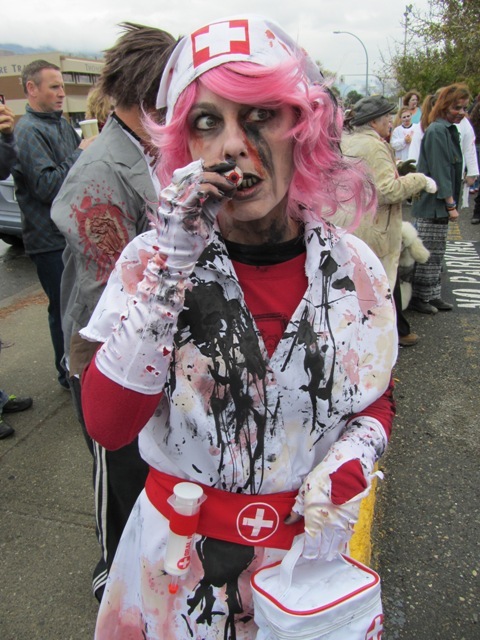 October 2011 also saw multiple attempts to break The New Jersey Zombie Walk's Guinness world record for largest zombie gathering. 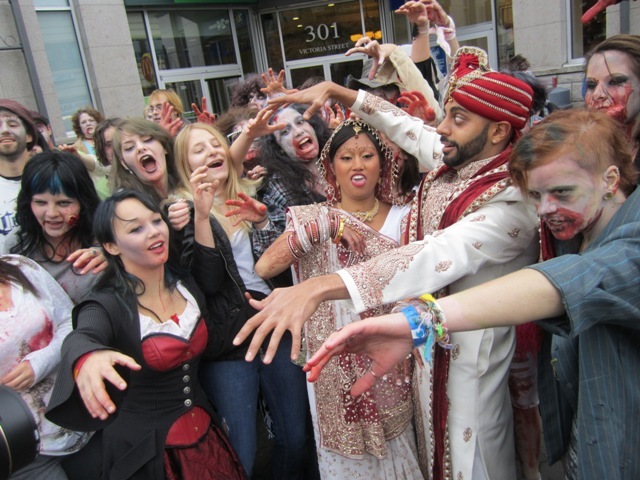 On October 8, the unofficial count for the Pittsburgh World Zombie Day Zombie Walk was 4,900 zombies. 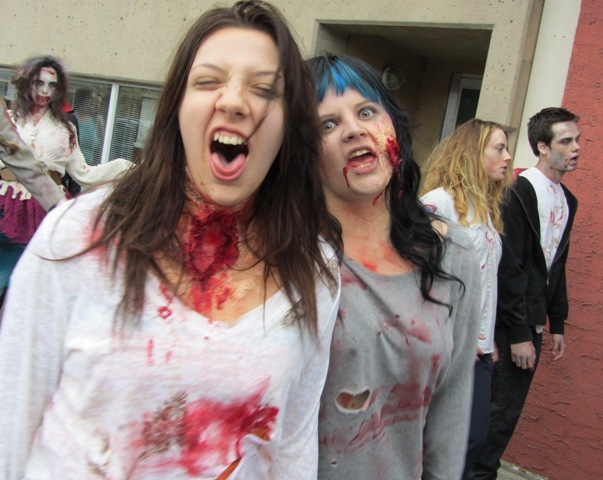 Over 7,000 zombies are believed to have attended the 9th Annual Toronto Zombie Walk on October 22. 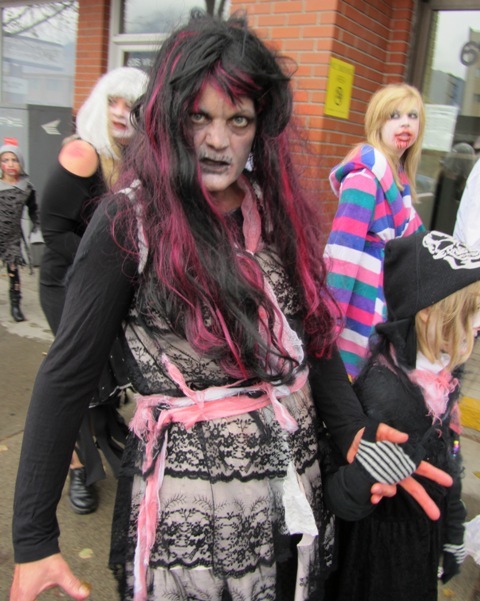 Both the annual Denver Zombie Crawl on October 22 and the annual Brisbane Zombie Walk on October 23 claim to have had over 12,000 zombie participants. 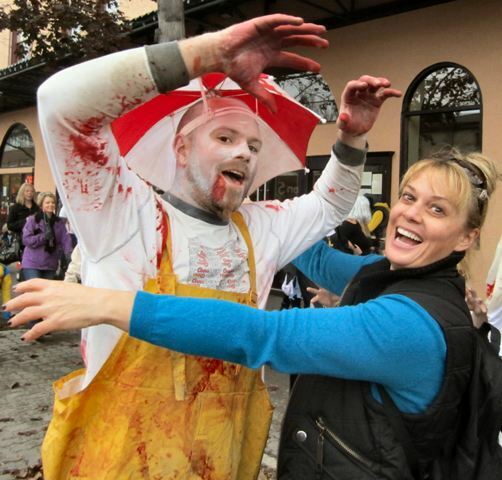 Guinness has yet to officially recognize a new world record for largest gathering of zombies. 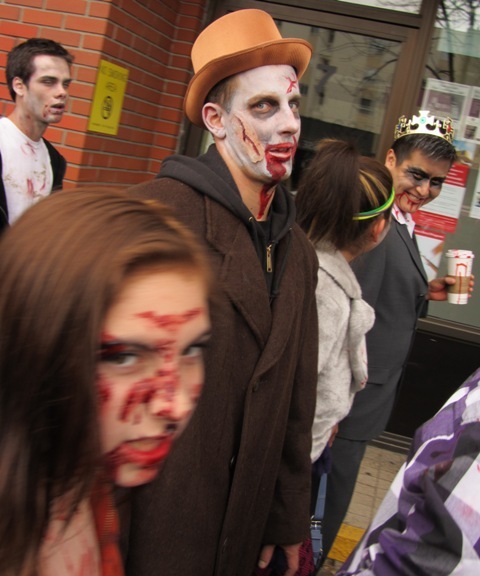 On October 29, the city of Long Beach, California, set out to break a World Record as part of its fourth annual Zombie Walk event, produced by community organizations Long Beach Cinematheque and Mondo Celluloid, and partnered with Michael Jackson-inspired flash hmob "Thrill the World", who set out to break a world record of their own with the "World's Biggest Thriller Flash Mob." The endeavor gained world-wide press, with media covering the event from as far as the United Kingdom (Telegraph UK). By night's end an estimated 14,000 participants had taken over the entirety of the downtown area, breaking local business sales records and all but shutting down traffic for hours. Guinness has yet to officially recognize that a new world record had been set. In November 2011, Mexico broke a new world record for largest zombie gathering. Guinness officially counted 9,806 participants, surpassing the previous record established by Asbury Park, New Jersey. On October 20th 2012, Brighton, United Kingdom broke the current world record of 4,093 held by New Jersey. 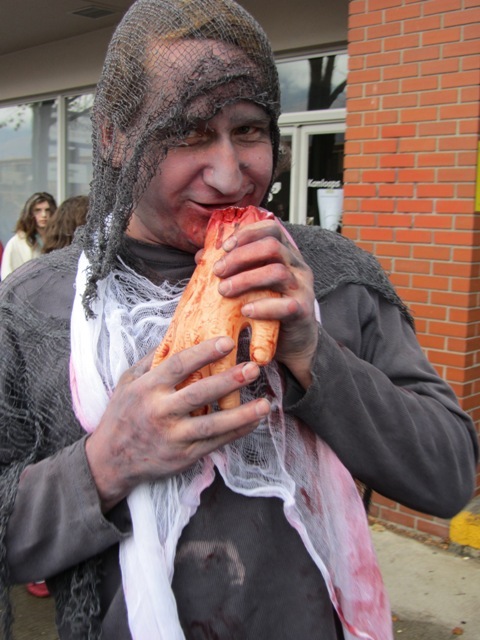 The Brighton Zombie Parade, known to residents as Beach of the Dead had 6,000 participants. Also on October 20th 2012 in Santiago, Chile a new world record was set with more than 12,000 zombies walking in the chilean city. 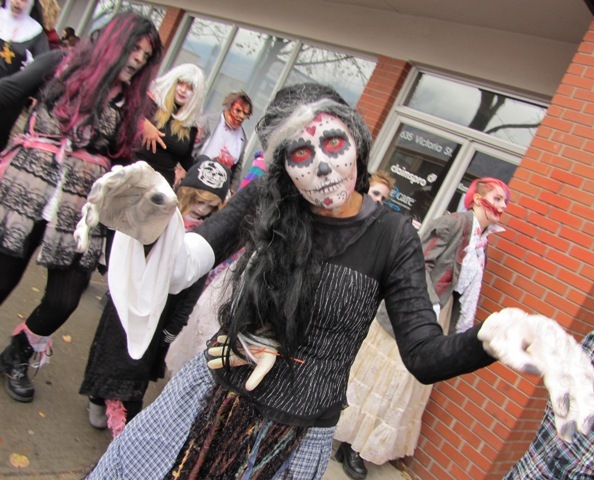 The 7th annual Kamloops Zombie walk had over 50 participants! 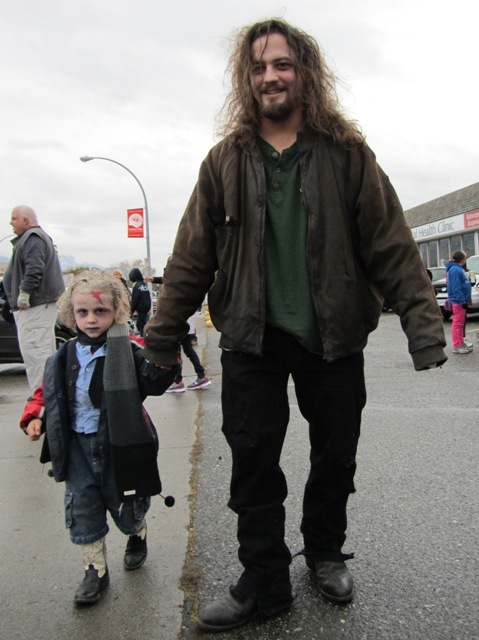 The Kamloops Zombie walk has two rules: Come in costume and don't break character!